Many businesses forget that over 30% of people use their mobile phones as their main device to browse the web. You can attract those people to your website (and your business) if your site fits on their phone, they don’t have to download an app and they don’t get redirect to another website. Not mobile (or tablet) friendly: People are going to close your site right away when they can’t read your site off their phone (or other mobile device), because everyone’s life is busy and they don’t want to spend time trying to read whatever you say on your site. 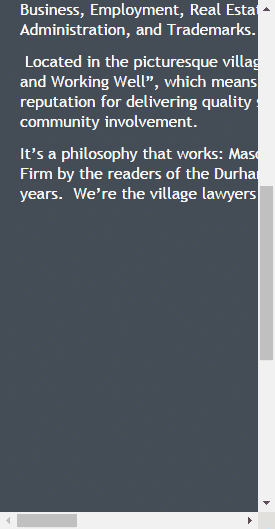 Make it so anyone (on any device) can read what is on your site. You tell them to download your app: Don’t do this. Over 90% of people who browse on their phone and see that will close your site right away. I know cause I do it. Don’t tell me to download something just to be able to be able to read your site or I get a special discount. I don’t know what permissions you are asking, and I don’t know about your company enough to trust you to have access to things on my phone. You redirect me to another website: You should have your website mobile-friendly and ready to load, don’t make someone wait another 4 or 5 seconds just for another site to load just because your too lazy to make the friendly for phones. Want help attracting that 30% or need someone to make your company site mobile-friendly? Contact me now to get started.